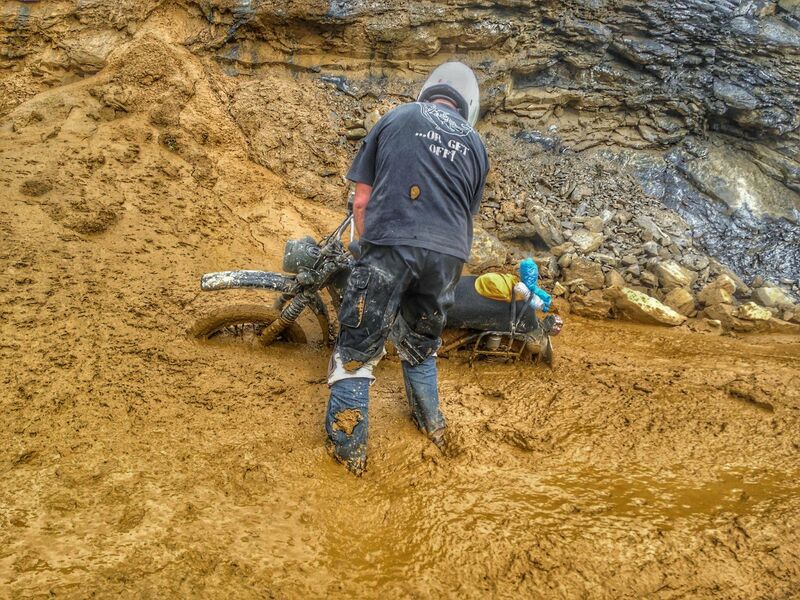 It’s been a big year for Explore Indochina, and perhaps the most memorable ride of the year was in late July/early August, when a group of 14 riders and three pillions encountered Vietnam’s heaviest rain in 50 years. 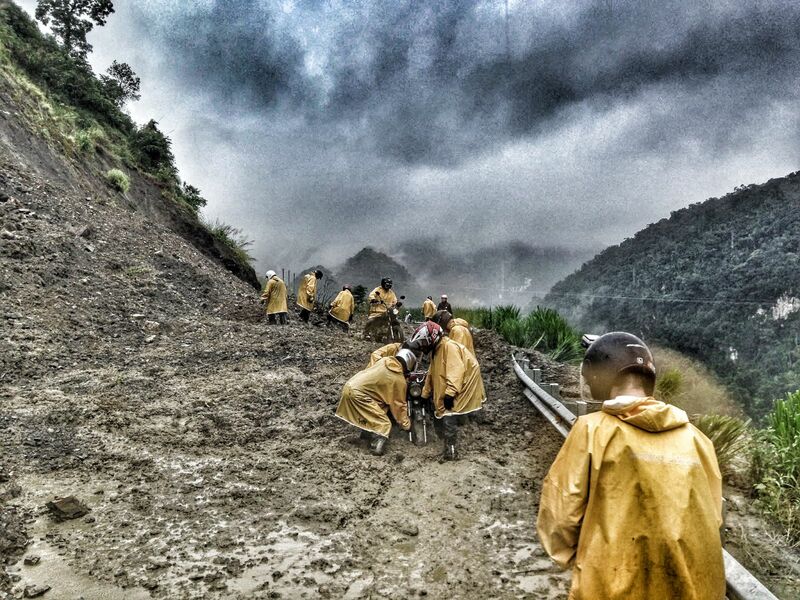 Up to 240mm of rain fell each day on this ride, which has gone down in history as the Monsoon Mayhem tour. And with 17 punters riding for 10 days, they were also our biggest ride of 2015. Our longest ride of the year, however, was back in April when five riders and their three pillions rode for 14 days. Starting with the overnight train to Lao Cai, these riders were among the first to ride our extended Border to Beaches ride. Instead of heading south through the Hoang Lien Son mountain range, this group went as far north as you can go in Vietnam, to the Dong Van karst plateau. These riders also pioneered some new homestays in the laterite village of Duong Lam, near Hanoi, before continuing south along the Ho Chi Minh Trail. These groups were just two of the 36 rides we organised throughout 2015, when almost 200 people rode with us. We reckon that means our punters collectively motorcycled over 250,000km with us this year! One of the highlights of the year came back in January, when after years of searching in the jungles of Laos, Digby was finally able to locate a Vietnamese command bunker. The bunker had been home to unit 559, the unit that ran the Ho Chi Minh Trail. Digby was able to find the bunker after meeting a Vietnamese colonel who managed unit 559’s anti-aircraft activity. Another group of brave souls joined Digby on an exploratory mission into the Himalayas, riding over the highest mountain passes in the world on Royal Enfields. 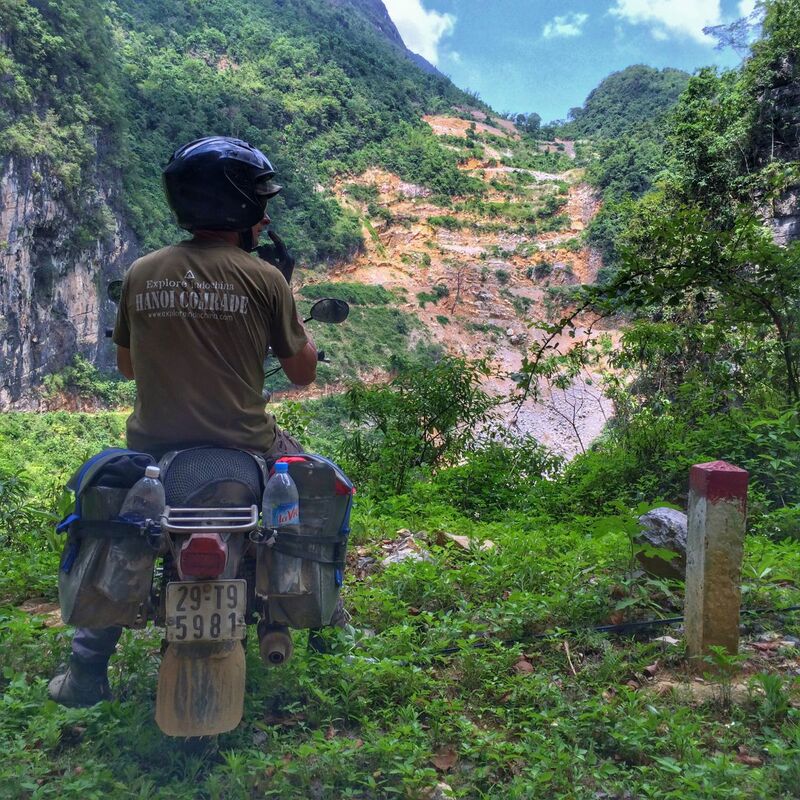 And in 2016, we’ll be taking two more groups of previous Explore Indochina punters into the Indian Himalayas. 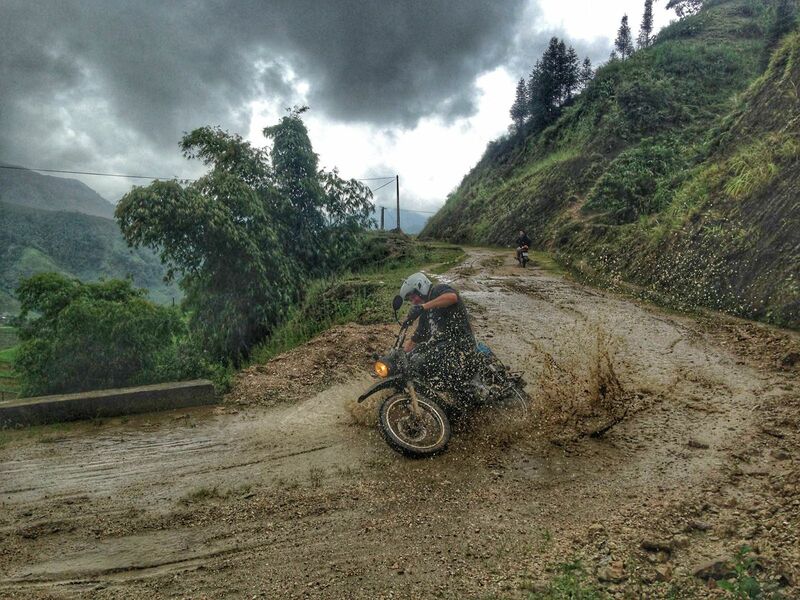 Back in Vietnam, we’ve had loads of fun exploring new tracks and trails all over the northern mountains, so many in fact that no two rides are ever the same any more. Some of these new areas feature in our new promo video, which we made this year using footage from our DJI Phantom. We’re looking forward to making some more movies with our drone in the new year. In our other social media channels, our most popular photo of the year on Instagram featured Australian rider Paul T looking back at what seems to be a quarry, but is in fact the never-ending bends he’d just ridden down. Over on Facebook, our most popular post of the year was a picture of Mark K riding out in an area we've nicknamed Jurassic Park. This incredible limestone valley features a rare keyhole mountain that you can see right through. Not long after this photo was taken, the whole valley was flooded by those monsoon rains. Somewhere in the background of this photo is Andy Roo, who clocked up his second and third trips with us this year, after making his first run back in 2012. He’s already booked in for September 2016. Finally, we’d like to thank the supporters who have contributed 24 reviews of Explore Indochina on TripAdvisor over the past year. "Life-changing. One of the best I've ever experienced," wrote Tim M in October. If you rode with us at all in 2015, it’s not too late to join Tim by going to TripAdvisor and writing us a review now.